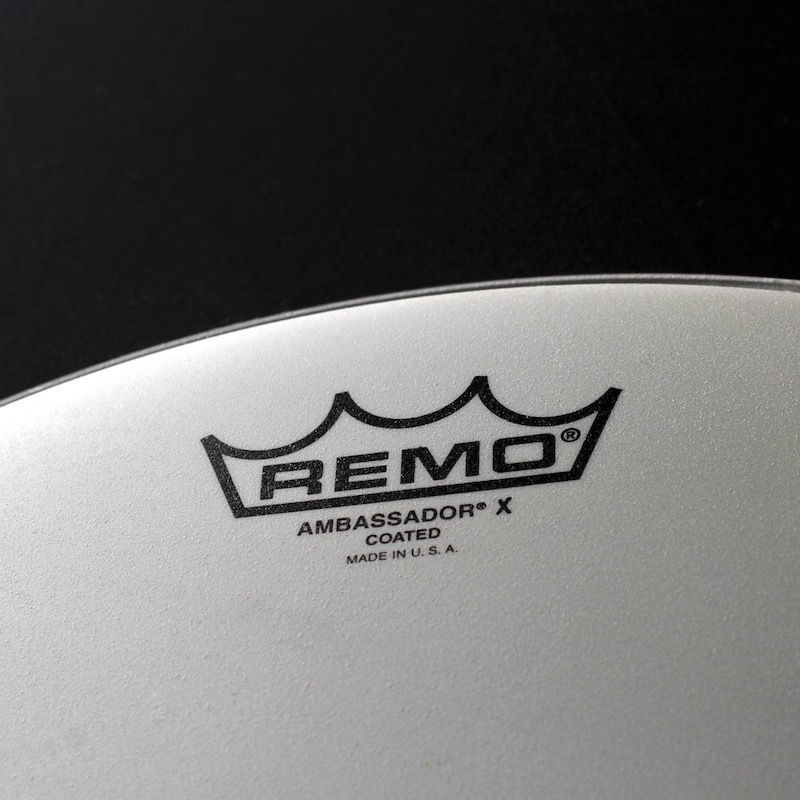 Remo Inc. is the world’s largest drumhead company. For over 50 years they have led the way in synthetic drumhead and shell development. 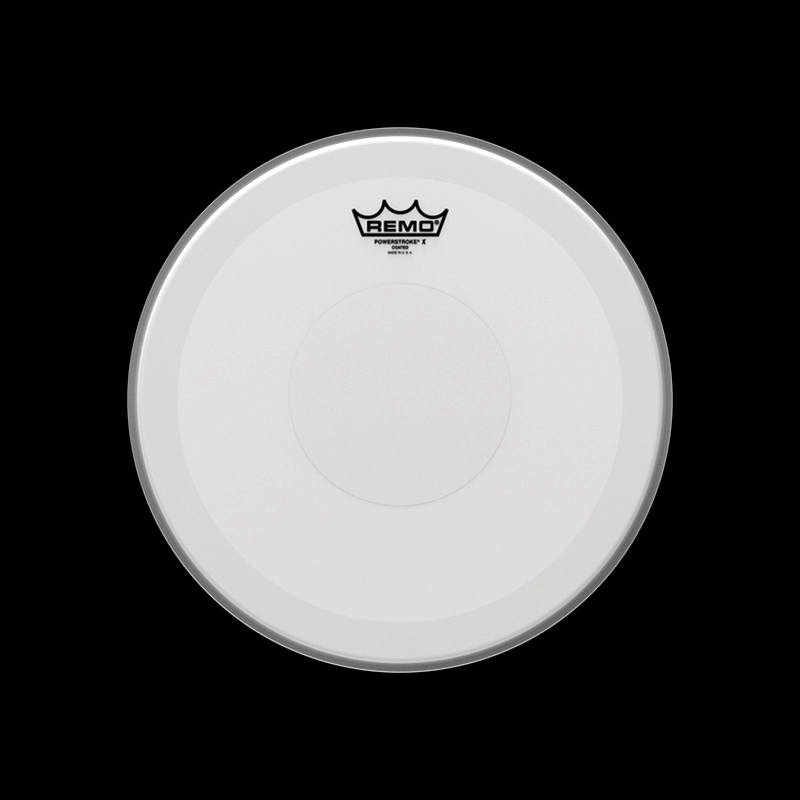 The Ambassador X 14 Coated drumhead features enhanced attack with wider midrange tones, natural controlled sustain and increased durability. Constructed with 1-ply 14-mil coated film – with a 5-mil Bottom Black Dot (Custom Order), Ambassador X 14 Coated heads provide a unique feel for enhanced stick rebound. Available is sizes 13″- 14″. The Controlled Sound X Coated Bottom Black Dot features focused midrange tones with added durability. 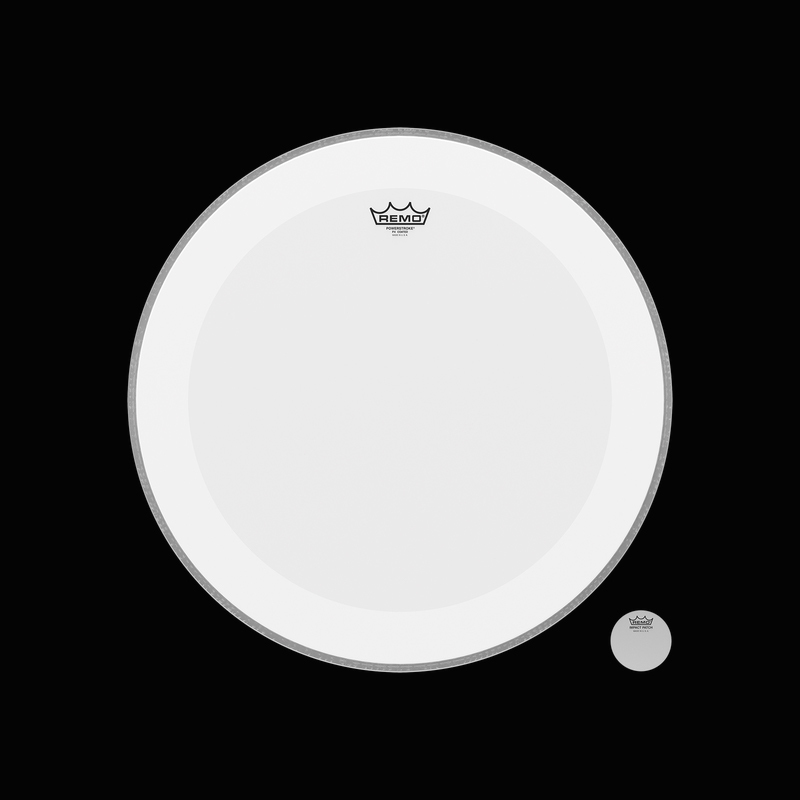 Constructed with 1-ply of 12-mil Coated film and a 5-mil Bottom Black Dot, Controlled Sound X Coated Bottom Black Dot drumheads provide heavy-duty drumhead characteristics. 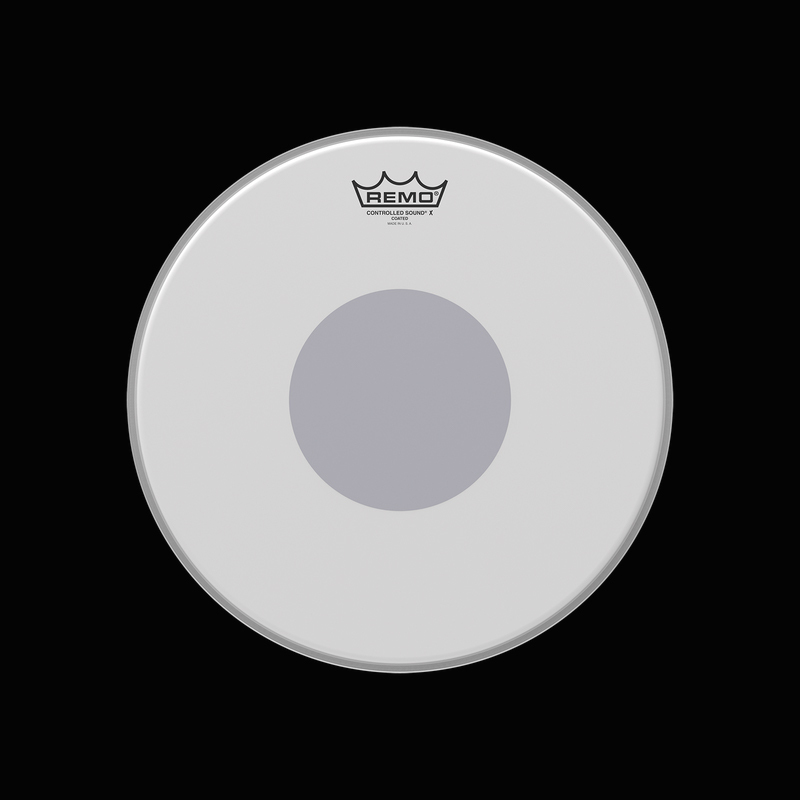 The drumhead’s outer area offers enhanced tone and sensitivity while the center dot adds durability and overtone control. Available in sizes 10″- 14″. The Powerstroke P3 X Coated Top Clear Dot drumheads feature outstanding overtone and sustain control with the highest durability of any 1-ply drumhead on the market. Constructed with 1-ply of 14-mil Coated film with a 2-mil underlay ring and 5-mil Top Clear Dot, Powerstroke P3 X Top Clear Dot Snare heads provide controlled tones and volume for contemporary rock, funk and R&B applications. A perfect ‘medium’ between the Powerstroke Coated and Emperor X. Available in sizes 13″ – 14″. Years ago I spoke to the head guys and gals at REMO Inc. multiple times and gave them my ideas and concepts for a sturdier snare drumhead that would have a similar feel and sensitivity as the now standard Controlled Sound Coated Bottom Black Dot drumhead but with more need durability like the (2) 7-mil plies Emperors, but (2) ply Emperor drumheads lacked any real sensitive defined stick feel when mounted and played on a snare drum. The fairly newer heavy duty Emperor X with its (2) 10-mil plies with a Bottom Black Dot which is used for added durability and dampening. I found the Emperor X to be super sturdy but it totally lacks any sensitivity and articulation that I now desire out of a snare drum spicific drumhead. So their was something lacking on the market and in REMO’s snare drumhead lineup, a hybrid in-between sweet-spot that I desired. After play for years Aquarian’s super crazy heavy duty Hi-Energy drumhead for added strength and superior longevity. 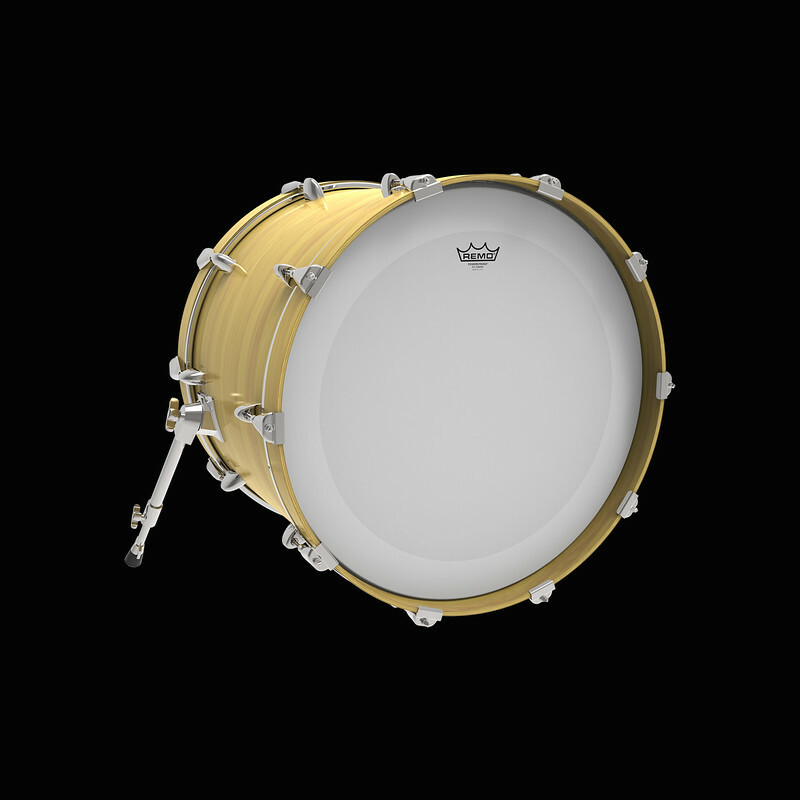 The more recently introduced REMO Emperor X has the similar sound and feel to Aquarian’s Hi-Energy specialty snare drumhead which was not doing it for me anymore. 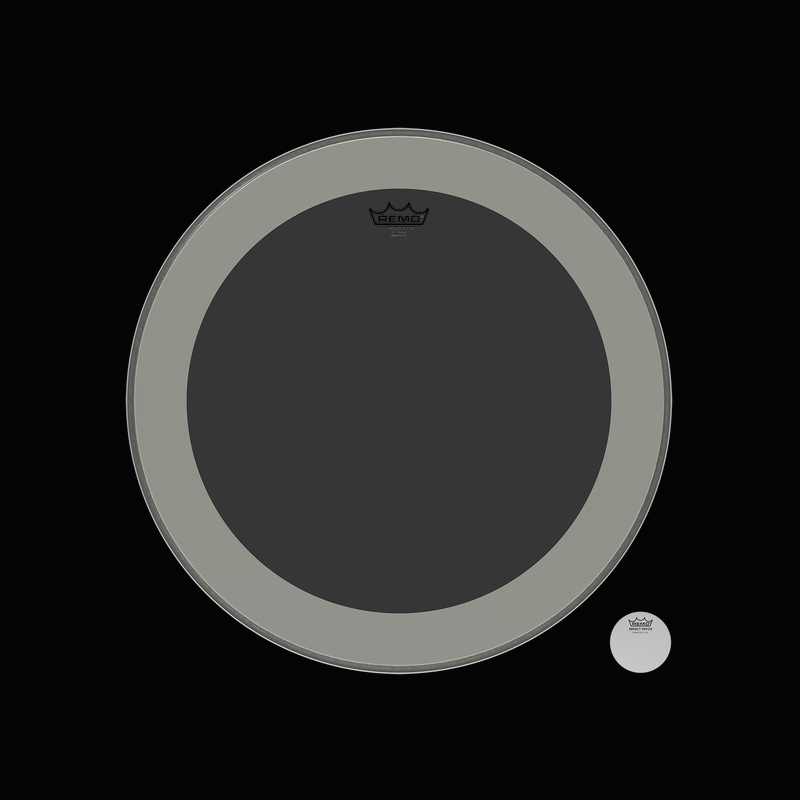 So I was in on the hunt for a hybrid snare drumhead that did not exist on the market and that had similar strength and durability of REMO’s Emperor X but the sensitivity of the classic Controlled Sound Coated Bottom Black Dot drumhead, and because I wanted a clean looking snare drumhead I requested a white and clear power dot unlike the Emperor X’s black dot. I didn’t necessarily want an underlay ring to suppress overtones like the new Powerstroke P3 X Coated snare drum drumheads minus the P3’s destracting pinstripes that I also requested, but that’s great if you have a metal snare drum. The one thing I find very frustrating with companies is that they go to far on the pendulum, they need in-between hybridize products to hit a different segment in the marketplace. Finally after ten long years it was brought to market. Thanks REMO! 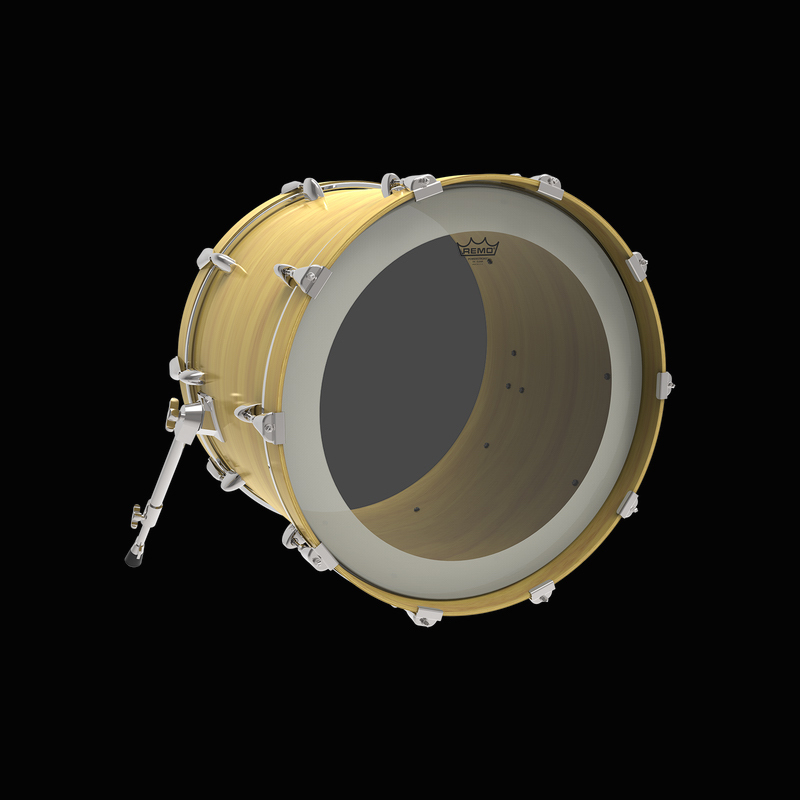 Also Aquarian Drumheads Hi-Velocity snare drum drumhead was introduced in 2009 with the desired design I requested.